Every year around this time I find myself wanting to shake up my look. 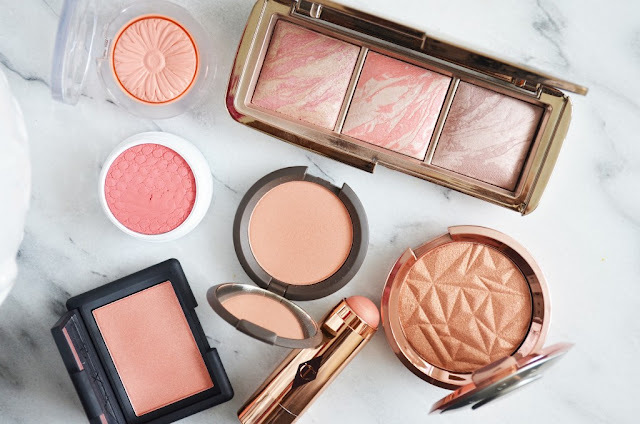 Spring colors are so inspiring, I'm constantly pining over lipsticks and blushers to match all the gorgeous pink and coral flowers blooming all over the city. I tried Argan oil for the first time the other week, and absolutely fell in love with the way it made my skin look and feel. Argan oil is known for it's many beneficial qualities: it acts as an overnight moisturizer, relieves stretch marks, helps fight acne, and is 100% natural. 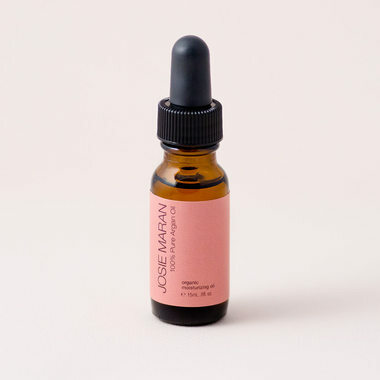 PLUS, all of Josie Maran's Argan oil comes from women-run coops in Morocco - the company ensures the women get fair wages, have decent working conditions, and they even offer education and literacy classes. How great is that?? 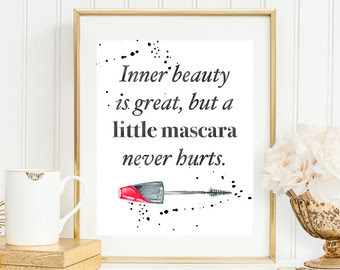 It might sound ridiculous, but I swear something crazy happens when you reach your mid-twenties: tiny little wrinkles start to appear just under your lower lashes and your makeup somehow manages to grow legs and walk off your eyes, making you look extra tired all the time. Why does this happen?! 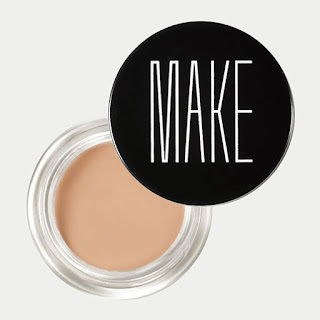 While I fully intend to embrace my age as I get older, I don't think there's anything wrong with finding solid makeup that helps diminish the appearance of pesky wrinkles that have no business being there. This primer promises to help minimize the look of crows feet, AND 10% of the proceeds go to women's coops around the Americas. 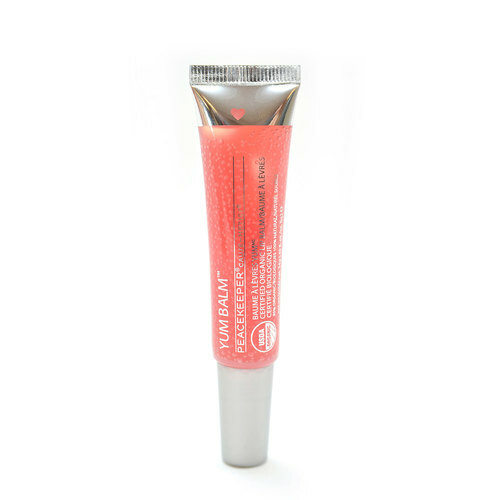 This silky lip gloss in a stunning shade of deep peach is 95% organic and has been designated by the FDA as food-grade quality! You could literally eat this guy and be totally fine - no nasty chemicals absorbed into your blood stream. Even better? Peacekeeper Cause-Metics donate funds to train women living in underserved countries in a sustainable trade, and gives them micro-loans to start their own businesses. Learn more about donating here. While $30 seems a bit steep for body wash, this luxurious cleanser enrobed in simple packaging sounds absolutely amazing. Filled with aloe vera and raw shea butter, I imagine sudsing up in this stuff would make for the ultimate shower. It certainly doesn't hurt that Om Aroma's Dollars and Scents program hires women who are re-transitioning into the workforce after taking significant amounts of time off to raise their children. Such a lovely scent-iment (see what I did there?). Any products I missed? Sound off in the comments! Note: All photos come directly from the product site. Click on the links to learn/see more! I'm the same way! Every spring I find myself more drawn to make-up and skin care products than normal in the hopes of revamping or reinventing my routine. I'm trying very hard to avoid this impulse this year though to save money lol. I just recently purchased a few products for my hair though...whoops. I've been interested in Josie Maran's Pure Argan Oil Light but haven't had a chance to try it yet. Did you use the 100% Pure Argan Oil on your face or your body? Great choices! I always enjoy reading posts like these as the information is always helpful when trying to make a decision on making a purchase.